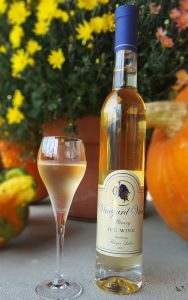 Vineyard View Winery produces a variety of wines from dry vinifera such as Riesling and Cabernet Franc. To unique hybrids varietals like Traminette, and Valvin Muscat. Now you can easily shop online for any of your favorites, like Nikki's Red or our 2012 Dry Riesling. Buy wine online and have them shipped to family and friends or yourself! NEW YORK STATE DELIVERIES ONLY -Vineyard View Winery abides by state laws for sales/shipments of wine direct to consumers. Age verification will be required at delivery.